Swedish Fids. Made from stainless steel with a wooden handle. Available in either small or large. Swedish Fid. 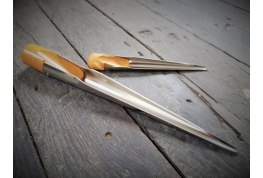 Made from stainless steel with a traditional wooden handle. Available in two sizes / lengths - small and large. 10mm Floating Heaving Lines. 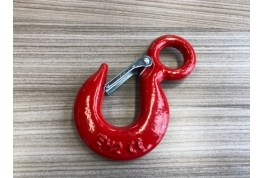 Heaving lines are lightweight, usually floating, lines used on board boats to connect to other boats, people on the shore or even to aid in helping other boat users who may have fallen over board. 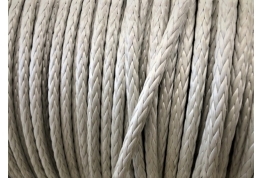 Our heaving lines are supplied in three lengths all of which have a monkeys fist knot on one end to add weight and aid throwing. 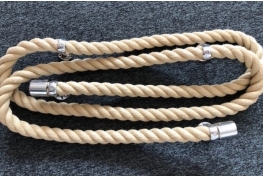 6mm Diameter Dinghy Line is a hard wearing small braided cord with a polyester core and polyester cover. Breaking strength - 800kgs. 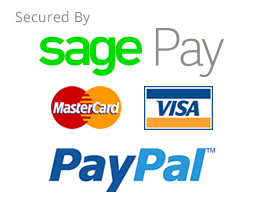 Various colours available for easy line identification. 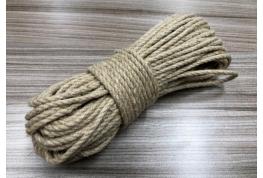 40mm diameter EXTREME climbing rope. Supplied complete with Tulip fitting to allow rope to be hung up. Total length is 6 metres. 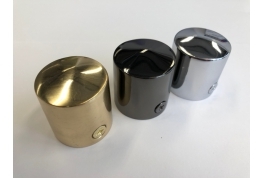 Other lengths can be made to order - please call if you have a specific requirement. 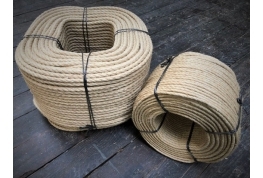 36mm diameter Synthetic Manila Rope is the largest in our range of newly developed synthetic fibre ropes. 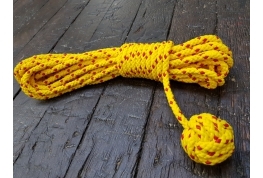 Our synthetic manila rope will not shrink, swell or rot when it gets wet - strength is not compromised when wet. 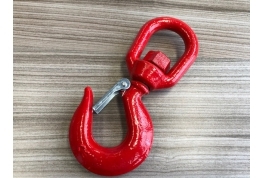 Perfect for any outdoor rope project.